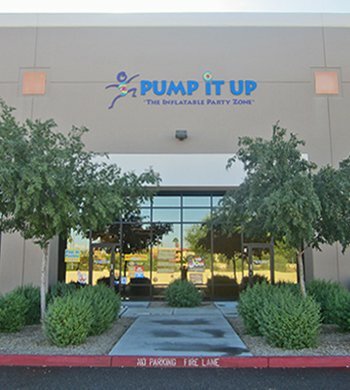 The Peoria location has been providing amazing birthday parties and awesome events for over seven years. One of the biggest things we pride ourselves on is cleanliness and the attention to detail. Our fun upbeat managment and staff are always ready to keep the party going. From the minute you pull into your reserved "PARTY PARENT PARKING" spot to the minute we have to wave goodbye. 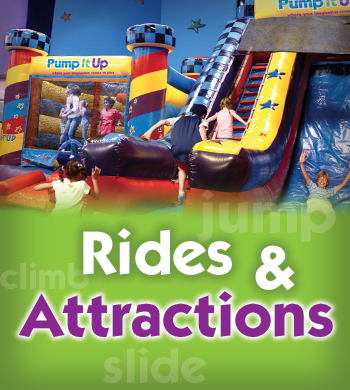 But we know that after you visit Pump It Up, your kids will be begging to come back!